Zach was born and raised in Fairbanks, Alaska. He recently graduated from Colorado College with a double major in Chemistry and Geology. During the summer he tries to spend as much time out in Alaska as possible, guiding in the Wrangell Mountains and exploring the glaciers and mountains of that area. 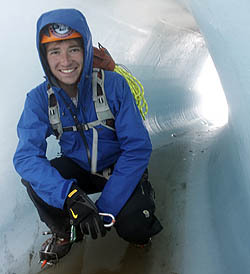 Zach has worked with Mountain Trip on Denali for two years.